Will the CG Again Arm Icebreakers? President Trump’s team could decide to arm future Coast Guard icebreakers in order to counteract Russian cruise missiles in the Arctic, the Coast Guard’s top admiral said following a meeting with the administration. This rethink seems to have been prompted by the Russian construction of the Project 23550 arctic patrol vessels which are capable of breaking up to 1.5 meters of ice (only one meter continuous) and which are armed with a 76mm gun and have been pictured hosting two containerized cruise missile launch systems. The Russians probably see these as replacements for the Ivan Susanin class, armed icebreakers, although cruise missiles would make a huge improvement in capability. I have noted, the missile systems may be more for publicity than for actual usage. The first of class has emerged without the missiles installed, but after all, that is the point of the containerized cruise missile system. You can put them on almost anything. In any case, these two ships, and their possible 16 missiles, do not substantially change the security situation in the Arctic. There have been a substantial number of Russian cruise missile launchers in the Arctic for decades. Their long range aircraft and submarines are far more dangerous. As has been noted, Russia gets a great deal of its wealth from the Arctic and consequently has strong motivation to put military assets in the Arctic. They have been respectful of international law in the region, settling disputes peacefully. Still, if it comes to a fight, they appear to have overwhelming strength in the Arctic, and the Canadians cannot help us very much. The Arctic may be peaceful now, but these ships may be in service for 50 years and things change. We could even see a conflict over the Antarctic during the life of these ships. The Commandant’s remarks seem to suggest that Icebreakers will be built “fitted for but not with” weapons. This is probably a wise choice, except that we need more than .50 caliber machine guns, if the Icebreaker is to perform its professed peacetime missions. Like all Coast Guard vessels it needs the ability to forcibly stop vessels of any size even if they refuse to stop. Beyond that, the question is, what do we want to be able to add? We should recognize that these will be large ships, not just by Coast Guard standards, but by warship standards. The Polar Star is almost 14,000 tons full load. The Healy is over 17,000 tons. Many Russian Icebreakers are much larger. I will be surprised if the new icebreaker is not at least 20,000 tons full load, so there are a lot of options. 20,000 tons is more than three times as large as the Wind Class icebreaker pictured above (6,500 tons), bigger than a WWII heavy cruiser, twice as large as a Burke class DDG (8,300 to 9,800 tons full load), a third larger than a Zumwalt class DDG (less than 15,000 tons). It may even approach the size of Huntington Ingalls Ballistic Missile Defense ship concept which at one point included 288 vertical launch missile cells (about 25,000 tons full load). If we take the “fitted for but not with” approach, then the design process should start with some preliminary design for a fully armed ship, then see where and how much we want to back off. That will free up space for peacetime missions like scientific research. We can then decide how much additional space should be provided in the design for other peacetime purposes. There could be many opportunities for dual use of spaces provided for war fighting systems–magazine spaces as storage, additional birthing and messing, etc. After a decision is made about systems to be included in the fully equipped design, we should of course figure crew size and provide hotel services accordingly, keeping in mind the crew may have to accept more crowding. It is entirely possible crew size may double as was the case with many warships designed before WWII, when they actually entered combat. Including extra hotel service capacity can also serve a dual purpose, the ability to support more passengers, or perhaps mitigate problems if the ship has to respond to a disaster such as a sinking cruise ship. The following is a list of possible capabilities we might consider, in more or less, what I see as the priority of the systems, going from mild to wild, from gunboat to ballistic defense ship. All are feasible at this stage in the planning process. As the design develops, we will be closing off options. I will talk about each. This is a requirement in both peace and war. We have to be able to forcibly stop a ship of any size, even if they refuse to stop, even after warning shots and being fired into. For very small vessels this might be done with a .50 caliber machine gun. If the vessel is a bit bigger maybe a 25 or 30mm gun might work. For any substantial ship we need something more. As I have expressed several times, a light weight torpedo seems the least impactful effective way to achieve that. We may not need new torpedoes after all. Recently I have seen a statement that the Mk46 Mod5 has an anti-surface capability. The Navy must certainly have reserve stocks in storage given today’s much smaller surface fleet. If they do have an anti-surface capability, even if only against deep draft targets, torpedoes in combination with Mk38 mount(s) for warning shots, is the easiest solution. Before going to Antarctica, the torpedoes themselves could be removed. I doubt there is anything classified about the tubes. There is no requirement that icebreakers going to Antarctica be unarmed, only that they be open for inspection. While not as effective against really large targets, if an older version of the 5″ Mk45 has been declassified it might be paired with a simple electro optic fire control, we could put declassified weapons even the breakers going to Antarctica. Equipped this way, they could be upgraded relatively easily by adding a more sophisticated fire control system and by upgrading to the latest mod of the Mk45. Any ground combat in a polar region is likely to involve only small units. If a 5″ could be brought within range, it would likely dominate the field. The Polar Icebreaker is of course expected to support a couple of Coast Guard helicopters and probably some type of drone. One of the most versatile weapons systems would be the ability to support a couple of Navy MH60s and MQ-8C drones. The flight deck and hangar requirements will not be much if any different from normal peacetime requirements, but we should not forget the requirement for storage of weapons, other expendables, and support equipment. Planning for support of Navy helos will probably also facilitate support of Army or Airforce helicopters if contingencies require. If combat requires access to polar regions, heavy icebreakers are likely to be prized and virtually irreplaceable assets that will justify significant investment in self-defense. Even if we have all three planned heavy icebreakers, we will have many more destroyers, big deck amphibs, and even aircraft carriers. Losing even one may become a strategically important loss. We can not take ESM/ECCM systems to Antarctica now, but so far these have proven the most effective defense against anti-ship cruise missile. We need to plan to add them. While soft kill systems have so far outperformed hard kill systems, this is likely to change. Anti-ship cruise missiles are increasing employing multiple sensors and target recognition systems that will be difficult to fool. A pair of SeaRAM launchers to provide 360 degree coverage and 22 ready rounds seems appropriate. 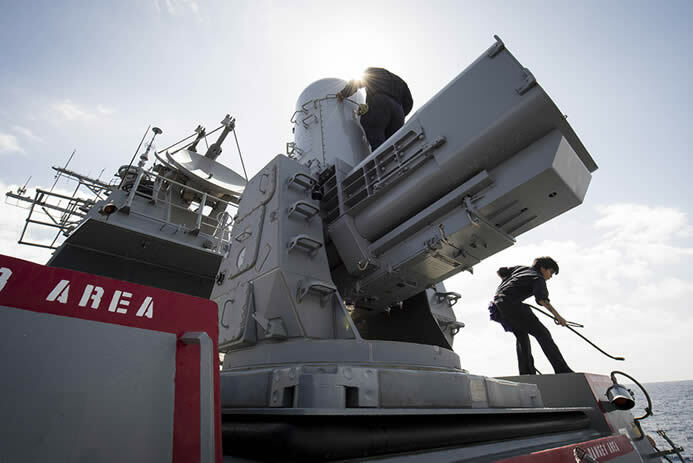 Additionally, like the Phalanx CIWS they are derived from, they are stand alone systems that can engage threats without cueing from other sensors or human decision making. A multi-function radar like those on the National Security Cutters and planned for the Offshore Patrol Cutter will improve situational awareness and improve employment of other systems. Submarines are the primary warships of the ice covered Arctic region. Both for self defense and for the protection of accompanying vessels, the ability to deploy sonar systems, particularly passive ones could be extremely useful. I have to wonder how effective long range torpedoes launched from submerged submarines under the ice would be against surface vessels operating in ice. There might be unseen ice ridges extending below the surface that might take the hit. To me this suggest that subs may have to break through to the surface and launch cruise missiles to engage surface ships in ice fields (this is largely speculation so don’t take it as proven). The concept of distributed lethality suggests putting cruise missiles on virtually everything (“If it floats, it fights.”) There is no reason that should not include icebreakers. Again not something we want to take to Antarctica, but an option that perhaps should be left open. Harpoon and ESSM on Danish Navy Absalon class Support Ship. This area supports 16 Harpoon and 36 ESSM launchers. It should not be too difficult to provide an open space like the one pictured above for the future mounting of weapons. In the mean time it could serve as a flex deck for mounting experiments and other modular systems. Evolved Sea Sparrow Missile can extend a layered defense around own ship and provide a degree of protection for ships and facilities that may be near the ship. This is near the bottom of my priority list, but providing the space for this may require little more than converting a cargo hold. It doesn’t even have to be very deep. They are at most 26 feet high, meaning perhaps three decks down or only two decks deep and some protrusion above the deck. 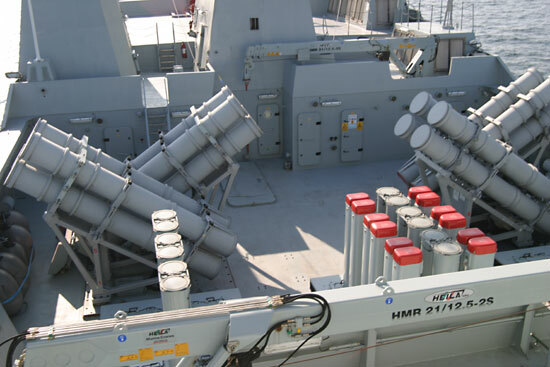 These can support Sea Sparrow, Evolved Sea Sparrow Missile (ESSM), Vertical Launch Anti-Submarine Rocket (VL–ASROC), all the various Standard Missiles, and Tomahawk cruise missile. 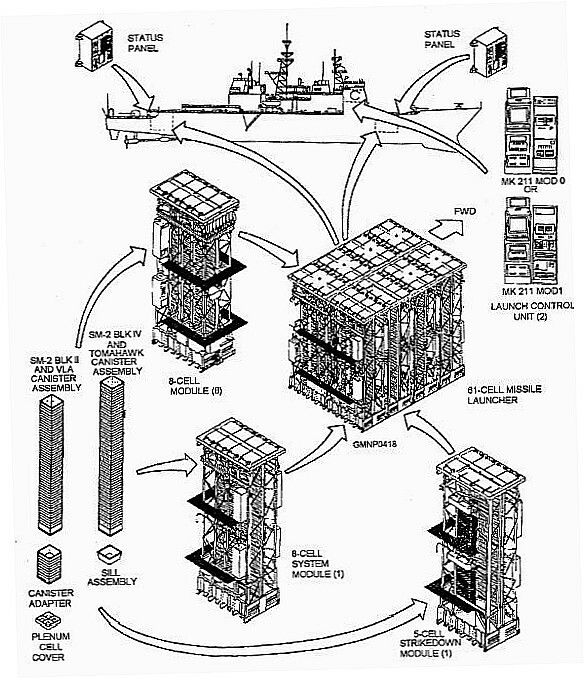 The strike length Mk41 and particularly the 57 VLS are likely going to be able to launch any future USN surface launched anti-ship or land-attack missile for the life of the new icebreakers. These ships could make a contribution to the concept of distributed lethality. 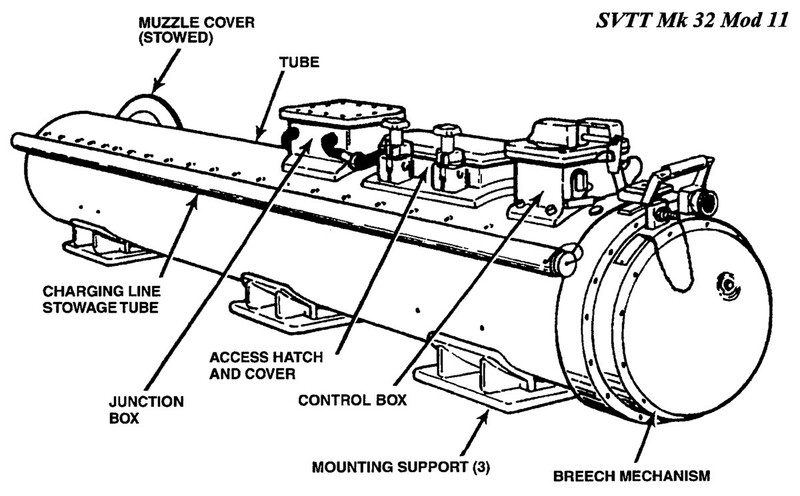 Unless we see my last possible system added, the icebreakers are unlikely to be able to use the capabilities of a Standard Missile independently, but systems are available that would permit cooperative engagement in which a unit, such as an airborne early warning aircraft, could make a detection and take control of a missile launched from a surface unit. The AN/SPY-6 (v) is the new generation Air and Missile Defense Radar. It is to be used on the Arleigh Burke Flight III destroyers. 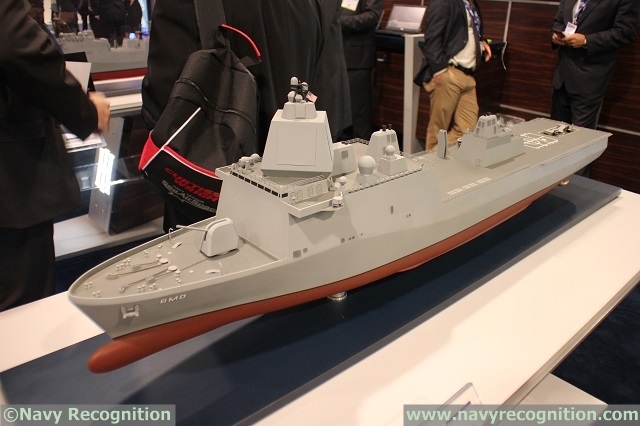 In this installation it is a major improvement over the existing AN/SPY-1 installations, but because it is scalable being made up of independent Radar Modular Assemblies (RMAs), it would actually benefit from a larger installation than will fit on the new Burke class ships. Consequently Huntington Ingalls has proposed using the LPD-17 class hull for a missile defense ship. The Polar Icebreaker is likely to be much larger than the Burke Flight III ships and may approach the size of the LPD-17 class and could be designed to accept the radar if the needed. Do we now or will we in the future require an icebreaking missile defense ship in the Arctic? Not my area, but if we are worried about Russian missiles coming across the pole, the geography looks favorable. At this point, “arming” Polar Icebreakers could mean a lot of things. Hopefully these ships will live out their lives in a peaceful world and will never need to be substantially better armed than they come out of the building yard, but hedging our bets with reserved space, weight, and stability margins is smart. Keeping some of these options open may cost very little. Hope we choose wisely. This entry was posted in Antarctic, Arctic, icebreaker, Uncategorized by Chuck Hill. Bookmark the permalink. WW2 sonars were often retractable, extending below the hull rather than being incorporated in a bulbous bow (the Japanese Yamato and Musashi were among the very, very few ships of WW2 to have such a bulbous bow at all). 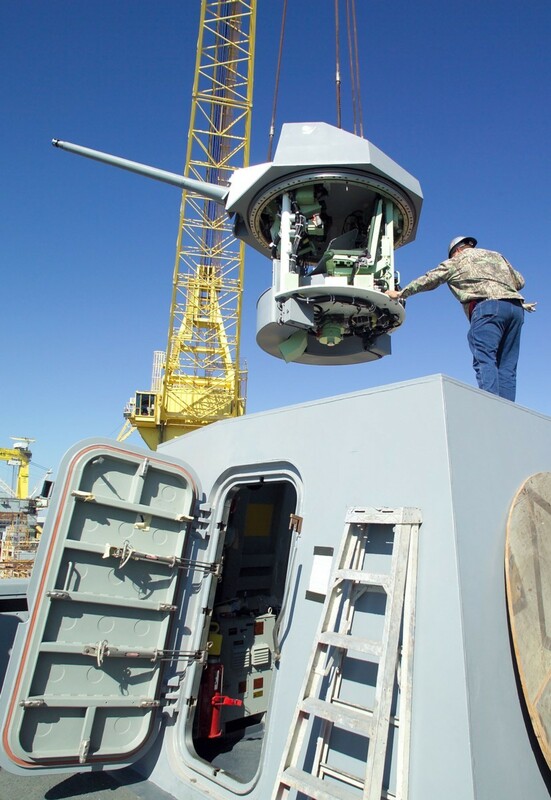 The sonar domes for the AN/SQS-38s on the Hamilton class 378 foot WHECs were positioned like this, but were not retractable.Same for the AN/SQS-56 on the Oliver Hazard Perry class frigates. When comparing the polar icebreaker to naval vessels and thinking about its weapons outfit, keep in mind that the ship can’t carry as much “payload” (as % of its displacement) than open water vessels. Its ice-strengthened hull, power plant and propulsion system are considerably heavier, and it also needs to carry more fuel. On the other hand, the weapons systems are likely not very heavy when compared to other equipment installed on an icebreaker and, unlike in open water naval vessels, stability won’t be an issue when thinking about e.g. installing radars high in the mast. The only potential issues I can think of are winterization of sensitive military hardware against cold ambient temperatures and icing, and continuous vibrations from heavy icebreaking. Things literally shake apart onboard icebreakers. Another potential load, slamming of the icebreaking bow in head seas, is more akin to shock load from an explosion. Tups correct me if I’m wrong but my impression is that icebreakers have so much weight down low, that they need to add a lot of weight up high to slow the strong righting moment. Icebreakers typically have a low center of gravity which, particularly when combined with a round hull form that doesn’t provide much roll dampening, can result in a somewhat “uncomfortable” ship in heavy seas. In a number of icebreakers, including USCGC Healy, this has been balanced by moving the heavy main engines to main deck level. In addition, the deckhouse is typically built of normal-strength steel as opposed to high-strength steel used in the hull as it may be beneficial for the design to have a slightly heavier superstructure (and it’s cheaper). Finally, some icebreakers feature a roll-reduction tank, sometimes placed high in the superstructure, to dampen the vessel motions. While there are some rule limitations for vessel motions (accelerations experienced by the crew), they are rarely if ever design drivers, so there is no need to add weight to the upper parts of the vessel in order to intentionally reduce its stability. After all, uncomfortable is not the same as unsafe. What he seems to have missed is that the Coast Guard currently does not plan on arming icebreakers, at least not to any greater extent than other cutters are armed. We are only planning on providing sufficient personnel accommodations, weight margins, space and power so that they could be upgraded if necessary. Those same provisions provide insurance that we could install other systems as well. They might be for science or SAR or MEP. Its a hedge against an uncertain future. A wise decision in my opinion. I believe the statement that the DOD will fund the first of these icebreakers is incorrect in that there has been a restriction placed on the amount of money the DOD can spend on our icebreaker. The hope that only coast guards will operate in the Arctic is not really realistic. The Russian Navy operates there in force. So do submarines. “The new icebreakers will even have space, weight and power set aside for armaments such as cruise missiles, just in case of a new and colder war, although there’s no plan to actually arm them.